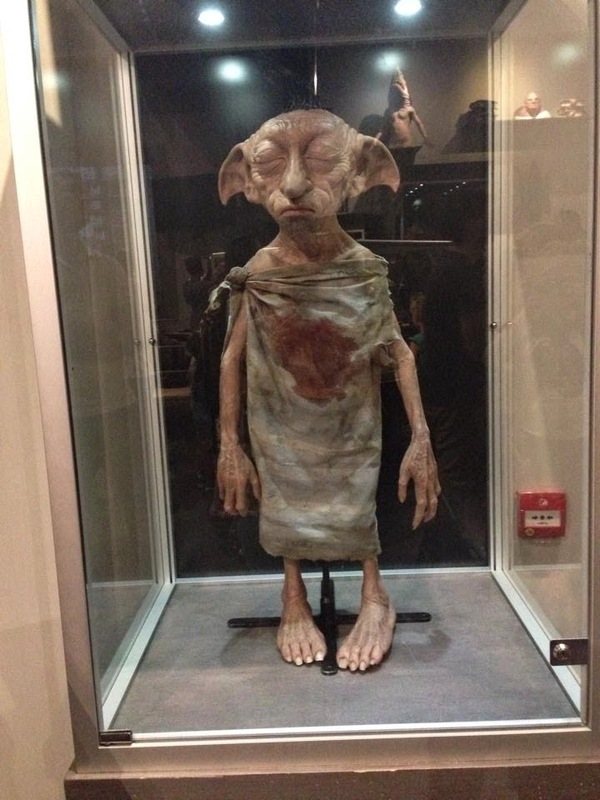 Mum of Five Staying Sane: Our visit to the Warner Brothers Harry Potter studio tours. Birthday celebrations and a fab day had by all. An amazing day out. 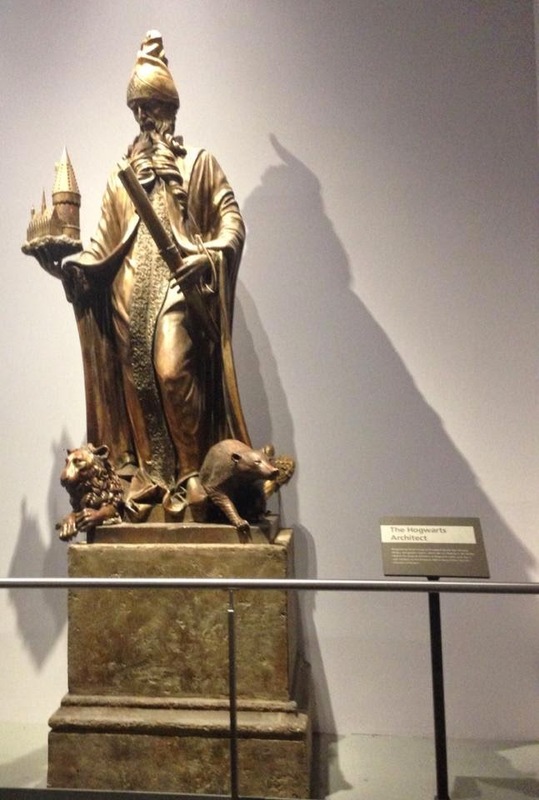 Our visit to the Warner Brothers Harry Potter studio tours. Birthday celebrations and a fab day had by all. An amazing day out. 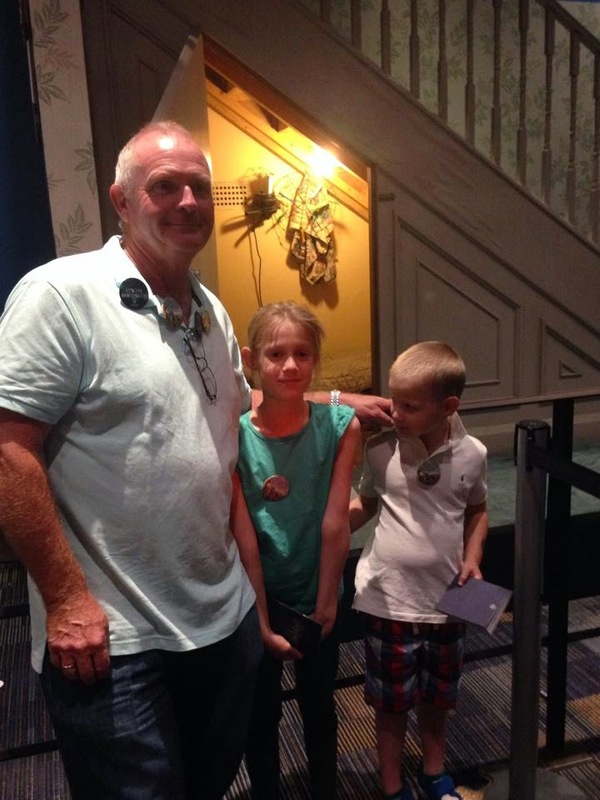 It was my Dad's 60th birthday celebrations last weekend and on Friday, the day of his birthday, we had arranged to take all of the children to the Warner Bros Harry Potter studio tours. 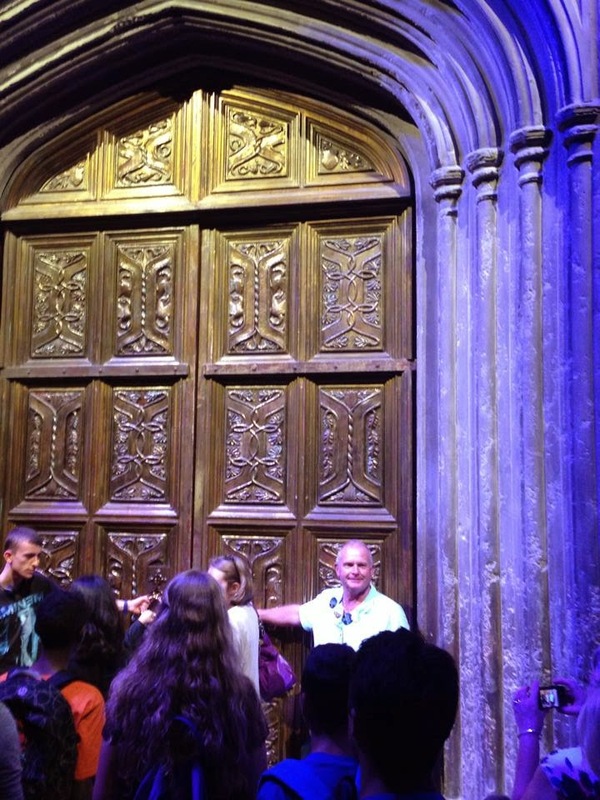 The Great Hall doors and Grandad with Thing 3 and Thing 4 standing in front of the cupboard under the stairs. It was booked a couple of months ago and when I told Thing 4 where we were going he asked constantly how many sleeps until we go. Thankfully he forgot for a little while and then when we had a week to go I reminded him of our trip and we counted down until the big day. Our journey to our destination was surprisingly quick. Having to use the M25 we set off with enough time ahead of us just incase we hit traffic. We sailed down the motorway though and we were there with over an hour to spare. Once we had organised everyone out of the three cars that travelled down and the children had a drink and a snack we headed round to the entrance. I quickly nipped to the ticket office as I was told that I could get a birthday badge for my Dad which he wore with pride all the way around the tour. We didn't have to queue for long before being ushered through some double doors into a big room with a large crowd of other visitors. Once inside we were given a quick talk by the lady on the rules of the tour and what we were about to see and do as we went through Building J and K. On the walls there were screens displaying all of the different posters from all of the films and in all different languages from the posters that were shown around the world too. Once that quick talk was finished we went through 3 doors into a cinema screen room. We all took a seat and waited to see what was going to be on screen. 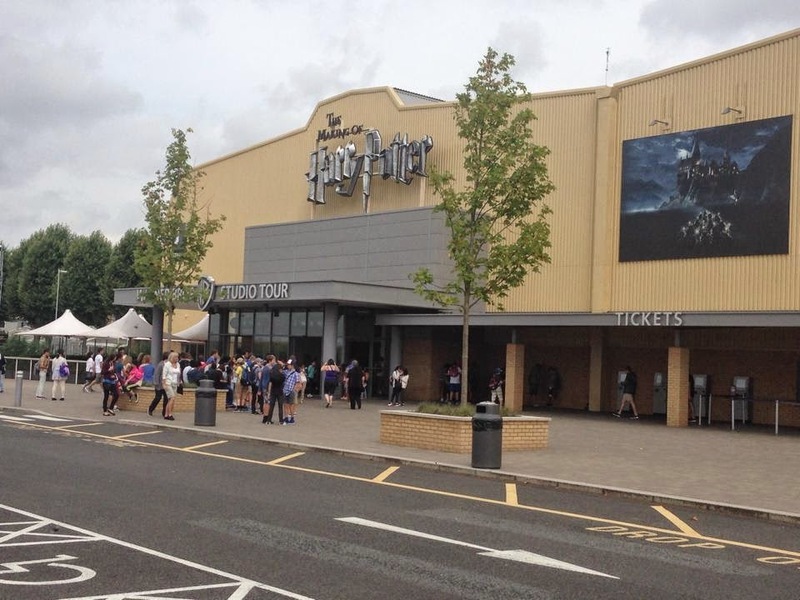 The lady joked with us that we were about to sit through every single film back to back, which I'm sure plenty of Harry potter enthusiasts in the room wouldn't have minded! As we sat through a short talk on screen from Harry, Hermione and Ron I couldn't help thinking how everyone in the room that had just walked through three doors were going to leave through one single door to the right of us (I had my practical thinking head on!). As the film finished we were all surprised to see what happened next and lets just say that the entrance to the tour was magical. As it was my Dad's birthday he got called up to open the large doors that led into the Great Hall, which he felt very privileged to be doing! 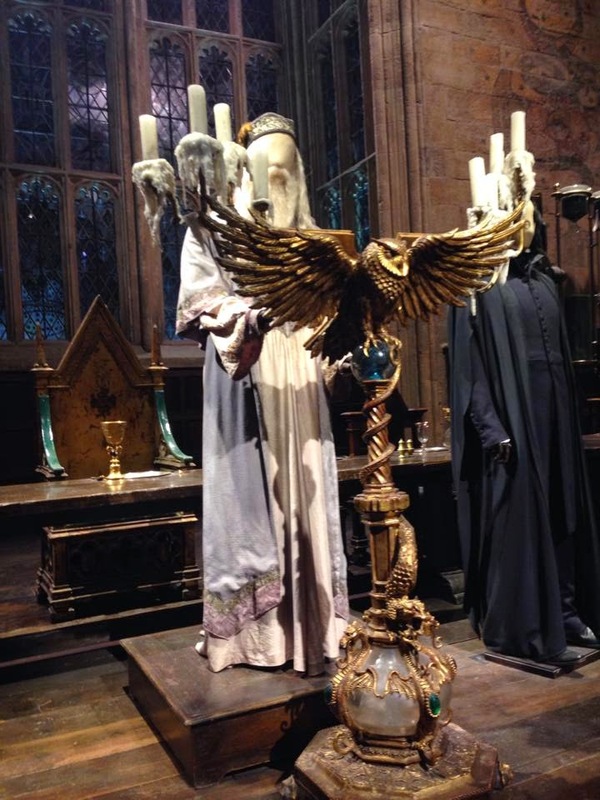 The Great Hall was amazing, it felt so good to be standing there looking at all of the props, costumes etc.... On exiting the Great Hall you follow around into the main building which house so many room scenes from the film. 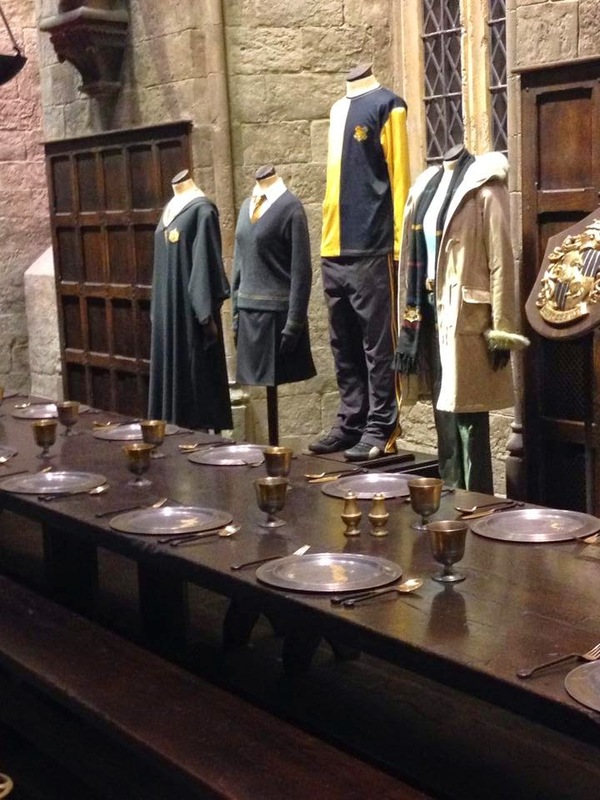 The Gryffindor dormitory and common room, Hagrids house, costumes, props, broomstick making demonstrations, one of the large staircases and much, much more. 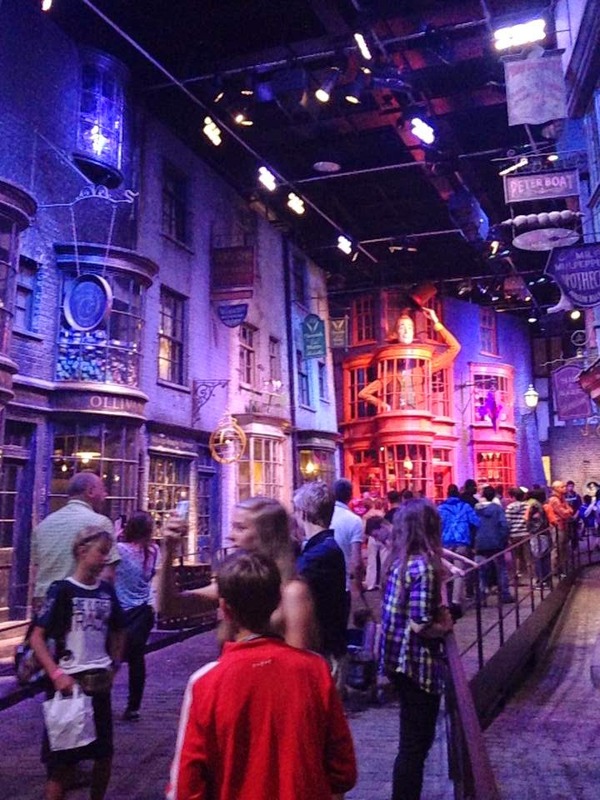 It was here that you could have a go at flying a broomstick or sitting in the flying car. All done on green screen but the results are fab and the children, plus my Dad and the OH, all loved having a go at this and we bought the pictures to show they flew on a broomstick! You really have to take your time through this section as there is so much to look at and as they tell you at the beginning, it is one way so you can't go back so make sure you take your time to look around. 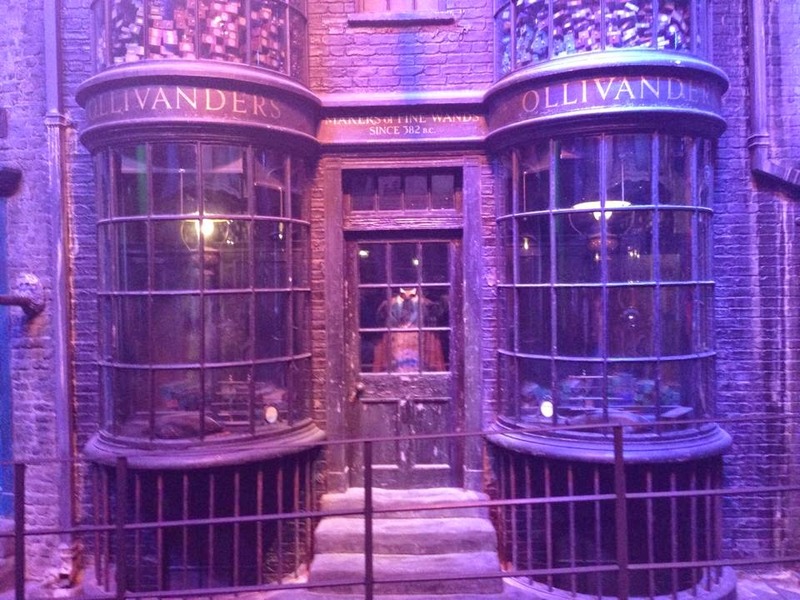 From this building you head outside where you can try out some Butterbeer, not alcoholic! My Dad described it as a caramel flavoured cream soda with cream on top. It needs to be tried! Diagon Alley, including Ollivanders wand shop amongst all of the other shops. 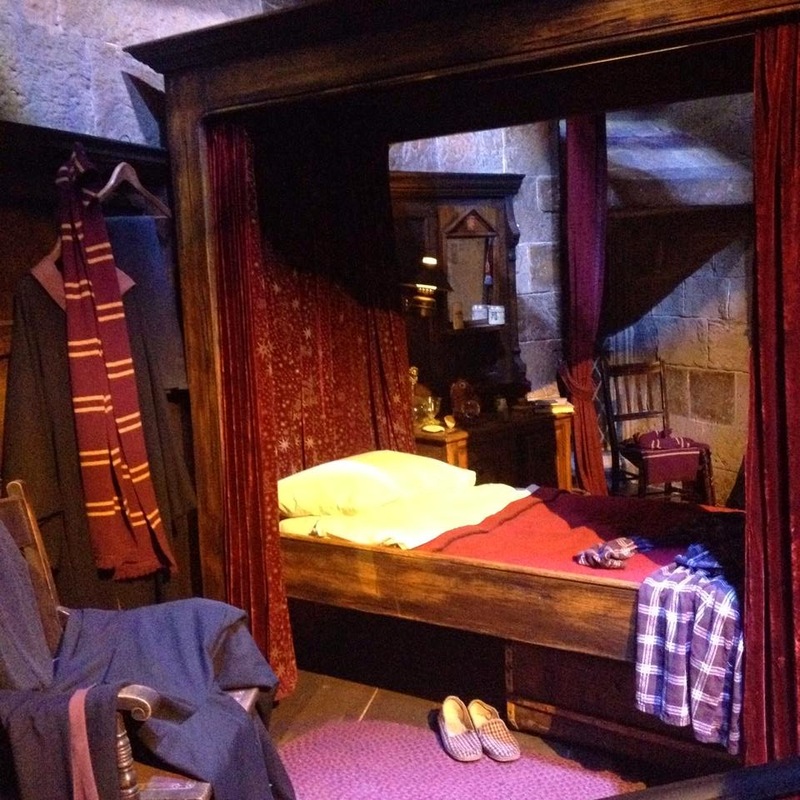 Outside is also the night bus, the wooden bridge, the Weasleys house, the old Potter cottage and more. It was a lovely day so it was nice to get out in the fresh air before entering the next building. There is also the opportunity to grab something to eat and drink in this area. Eating and drinking wasn't permitted in the tour which is understandable. 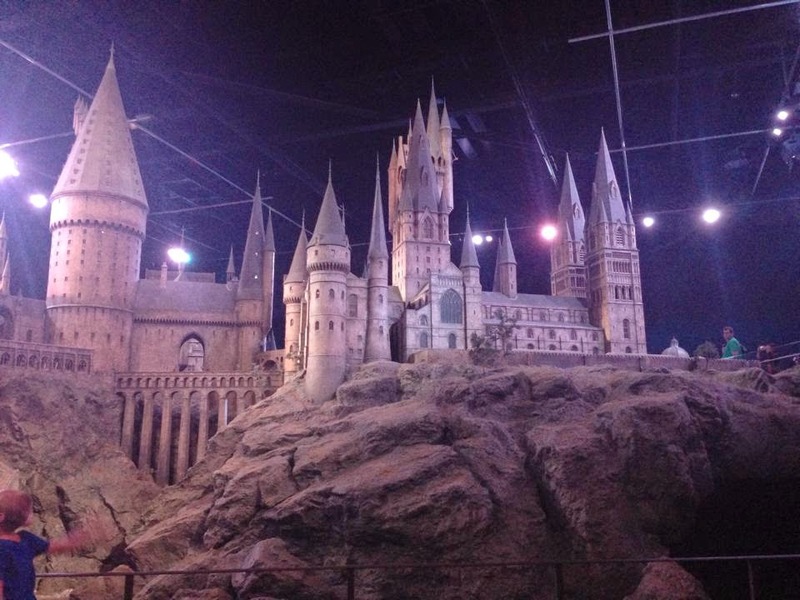 In the next building was all of the drawings and ideas from the making of the film, the different masks and faces of characters, Diagon Alley and at the end of the tour is the most amazing model of Hogwarts. Showing so much detail of every aspect of the whole school it really was breathtaking and you really need to stand back and study it from every viewpoint to take it all in. 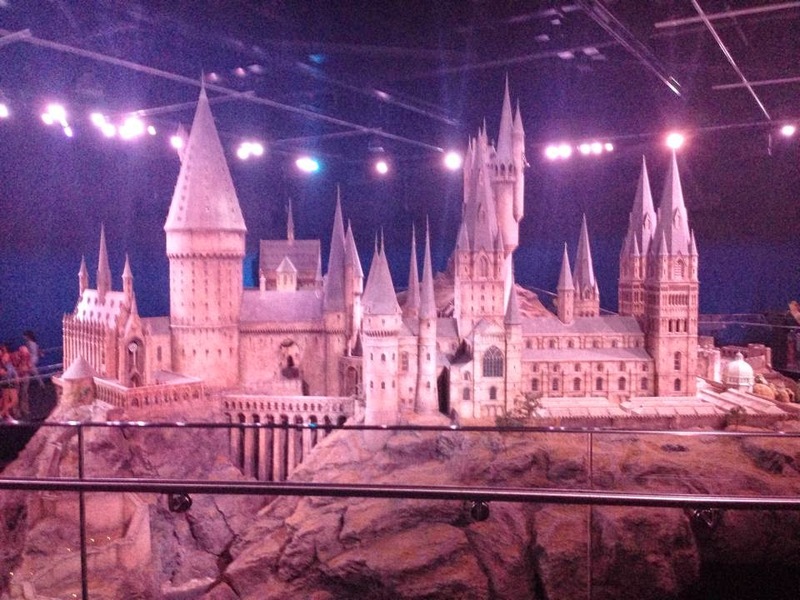 The amazing Hogwarts, these are just two pictures of so many that I took from different view points, it was amazing. 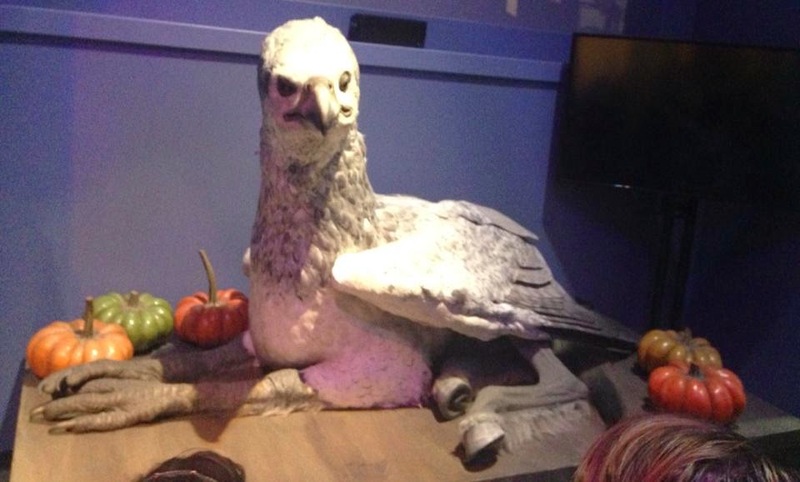 A quick trip through Ollivanders wand shop at the end leads you into the gift shop. 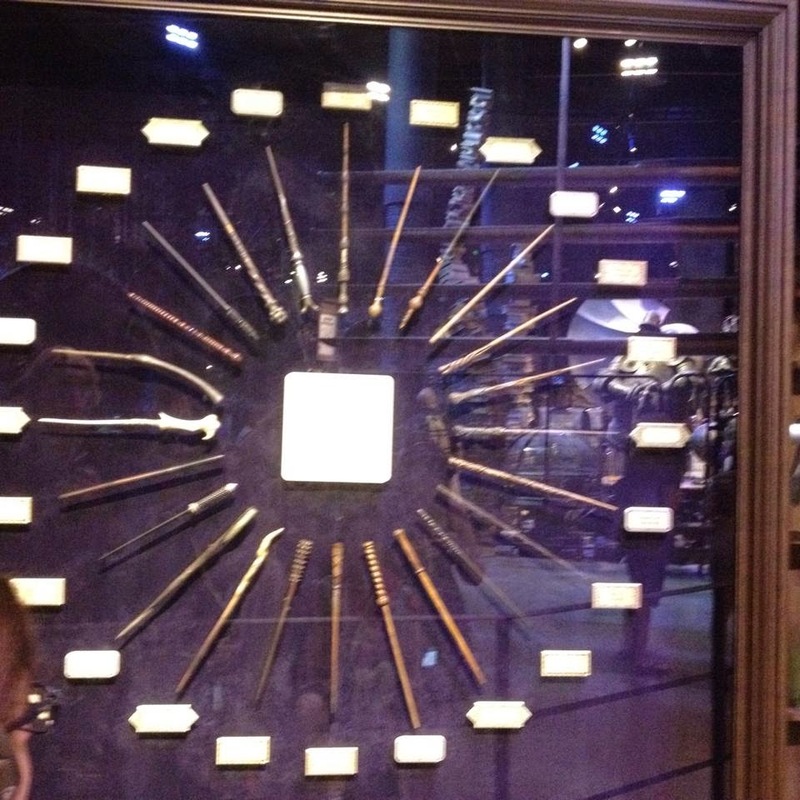 And yes, I did try pulling a wand box off of the shelf just to see if they were all lose. Who doesn't try it?? 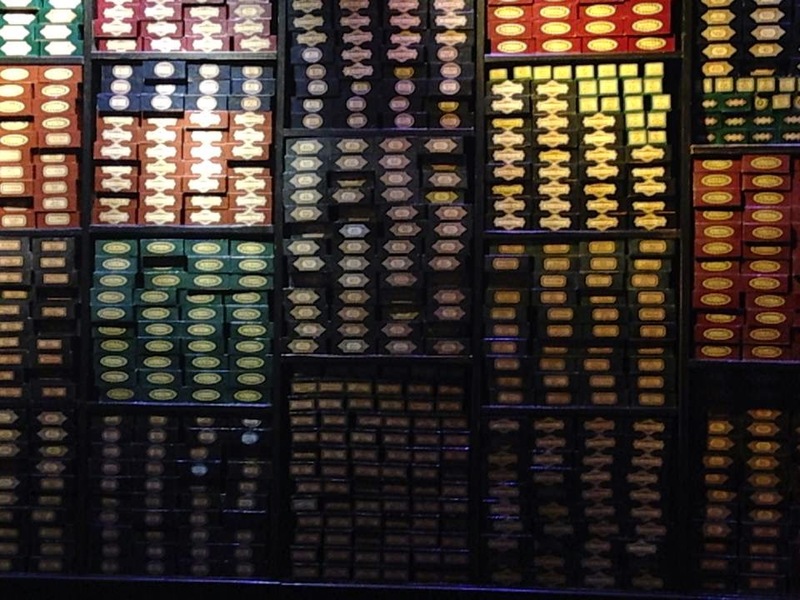 It was just floor to ceiling shelves full of wand boxes. There is so much there to see that I can't write about it all and I took so many photos that I can't include them all on this post, unfortunately! It is a day trip I would very highly recommend, if you ever get the opportunity then I would defintely say do it! I would definitely go again as I am sure that there are so many different things that I would see that I maybe didn't see last time, there was so much to take in. We had a group of six adults and seven children ages ranging from 2 years to 60 years old and they all enjoyed it. Everybody saw something different and were calling each other to come and see things that they liked. My Dad had a fab day, he loves watching the films and so to see everything at the tour was really special. Looks amazing! I'd love to visit there one day!